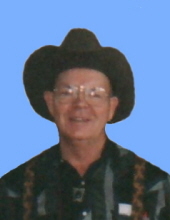 Raymon Leonard Hurley, age 79 of Providence, NC passed away Sunday, October 21, 2018 at Sovah Health Danville. He was born May 30, 1939 in Roanoke, VA to the late Cecil Leola Hurley and the late Annie Beard Hurley. Raymond was married to Shelby Jean Garst Hurley who survives of the residence. His special nickname was “King of the Cap Gun Cowboys” and was also known as “papa”. In addition to his wife he is survived by a daughter, Alice Cleary and husband David, Sr. of Danville, VA; a stepson, Fred Wilson of Danville, VA; two sisters; Marie Hendrick of Austin, TX and Phylis Garst and husband Bev of Salem, VA; two brothers, Charley Hurley of Botetourt County, VA and Wayne Hurley and wife Connie of Vinton, VA; four grandchildren; two great-grandchildren and three great-great grandchildren. In addition to his parents he was predeceased by a son, William Hurley and three brothers, Cecil Hurley, Robert Hurley and Rev. John Hurley. A graveside service will be held 2:00 p.m., Wednesday, October 24, 2018 at Highland Burial Park, Danville, VA with the Rev. Adrian Moore and The Rev. John Genery officiating. Norris Funeral Services, Inc. and Crematory, West End Chapel, 511 Church Ave. Danville is serving the Hurley family. Online condolences may be made at www.norrisfuneral.com. To send flowers or a remembrance gift to the family of Raymond Leonard Hurley, please visit our Tribute Store. "Email Address" would like to share the life celebration of Raymond Leonard Hurley. Click on the "link" to go to share a favorite memory or leave a condolence message for the family.